Decorating this cascading card was so much fun- I am crazy for my Big Shot Die-Cutting Machine and I use it almost every day. If you haven’t tried it yet, you really should! I used my old alphabet (which is no longer available) because I haven’t had a chance to purchase the new one yet, but the new one is awesome and would look just as nice. 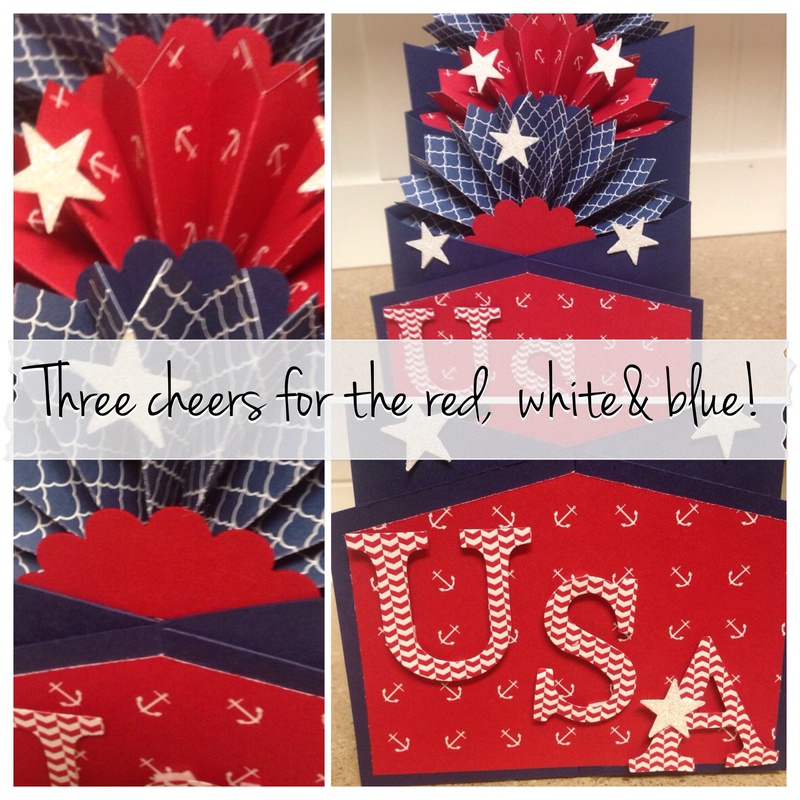 Posted in Cards, Holidays	| Tagged 4th of July, Big Shot, Stampin' Up!